SILVER SPRINGS STATE PARK – Race is being held at the beautiful Silver Springs State Park. Marked trails will guide you through the race which you may choose to run, walk or stroll the marked trails. Special pricing for children 6 – 12 years of age. 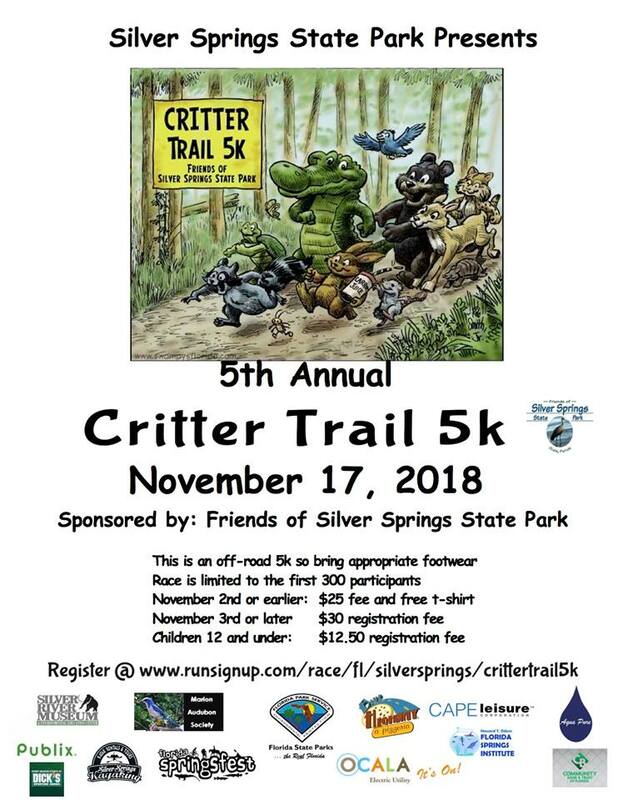 This is the 5th Annual Race and is a fundraiser in the park and for the park, all monies stay local and will be used to help enhance and improve the visitor’s experience.